There is a fundamental difference between the Muslim Brotherhood and ISIS. It stems from the fact that ISIS presents a uniformly radical agenda, internally consistent and uncompromising, whereas the Brotherhood adjusts its discourse for expediency’s sake in accordance with the considerations of the moment. With respect to human rights, for example, ISIS shows no deference to the principles of human rights as espoused by the likes of the United Nations and international NGOs. The Brotherhood, by contrast, engages the human rights discussion in order to win sympathy and stigmatize its opponents. And over time, the Brotherhood alters the emphasis — from religion to socio-cultural matters to nationalism to the struggle against corruption — though its global ambitions remain the same. How does the Brotherhood shape its discourse? In the case of Palestine, Hamas — as the Palestinian branch of the Brotherhood — first adopted the language of religious advocacy, between 1988 and 1994, before shifting to religious nationalism — between the year of the establishment of the Palestinian Authority (1994) and the year of its victory in the Palestinian parliamentary elections (2006). That twelve-year period saw a new focus on anti-corruption and ”reform.” But after failing in its first experience of governance, it returned to a purely Islamic discourse, describing the encirclement of Gaza as a test by God, demanding that the Palestinians show patience and recognize Hamas as the sole representative of God on Earth, in order to “win” both in this life and the afterlife. In the case of Egypt, the Brotherhood used to criticize the regime for refraining from confronting Israelis and not supporting the Palestinians. But when Israel attacked Gaza in 2012, the Brotherhood-led Egyptian government did not hold itself to its own standard. It resisted the measure sometimes adopted in times of war by Arab governments that recognize Israel — to request that the Israeli ambassador depart the country — instead leaving it to Egyptian demonstrators to storm the embassy, forcing the ambassador to leave. It appears that at the time, the Brotherhood had eschewed its longtime focus on Palestine and was promoting a discourse of reform and anti-corruption measures. The Brotherhood is the grandparent of most jihadist movements today: Ayman al-Zawahiri was a Brotherhood member, and Osama bin Laden’s mentor, Abdullah Azzam, was a longtime Brotherhood stalwart too. Abu Mus’ab al-Zarqawi followed a similar trajectory — and according to Brotherhood cleric Yusuf al_Qaradhawi, so did Abu Bakr al-Baghdadi. A fundamental paradox one finds among the leading jihadist groups today is their adoption of the latest video and social media technology to relay a profoundly anti-modern message. How does a given movement reconcile the tension between the medium and the message? The Brotherhood has adopted a discourse that indulges the conventions and sensibilities of the modern era. Through social media and other online platforms, from Facebook pages to news Web sites, the movement makes arguments against its opponents, promotes its ideas, and portrays itself as a victim of internal and external conspiracies. ISIS, for its part, has made no such adjustment. Through cutting-edge communications technologies, it relays an uncompromising message, making no pretext of rhetorical concession to Muslims of other ideological streams, let alone non-Muslims. Which discourse represents the more serious threat? 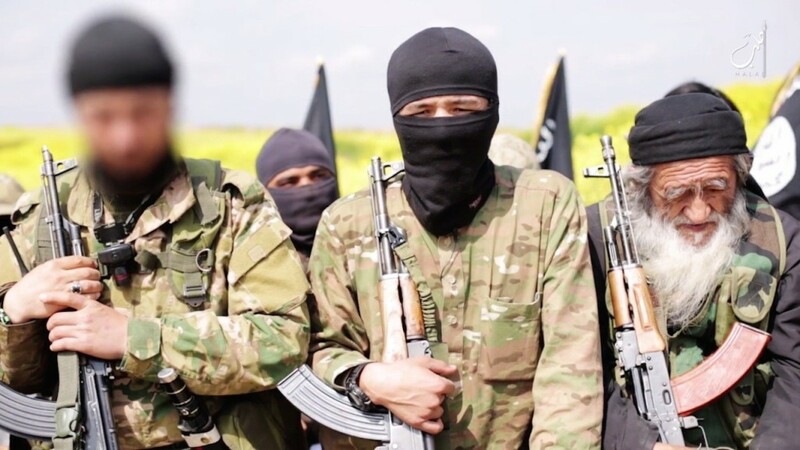 Alas, both ultimately aspire to the same global jihadist vision, and both oppose the nation-state and the region’s many sub-national identities. Dr. Mohammad Abu al-Rob is a Palestinian media research specialist. Next June’s Upshot: Slow Expansion on the American Job, What about the Labor’s Fate?